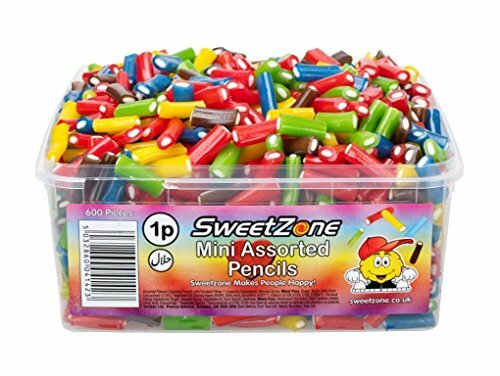 SweetZone Halal Mini Assorted Pencils, Mix of Strawberry, Blue Raspberry, Mixed Fruit and Apple. 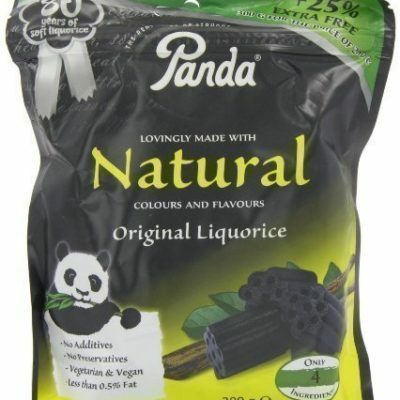 Made with 100% Halal Gelatine. 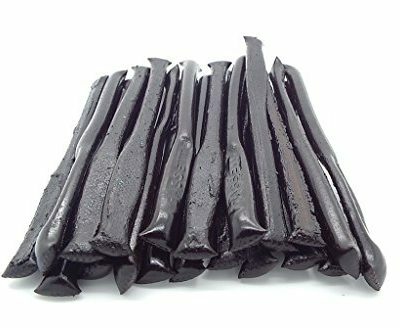 Liquorice Ingredients: Glucose Syrup, Wheat Flour, Sugar, Apple Juice from Concentrate (1.5%), Vegetable Oil, Glazing Agent (E904), Citric Acid, Emulsifier (E471), Colour (E129, E133, E102, E122). 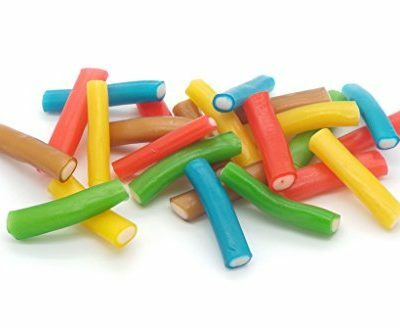 Fondant Filling Ingredients: Sugar, Glucose Syrup, Vegetable Oil, Corn Starch, Dextrose, Wheat Flour, Humectant (Sorbitol), Beef Gelatine (Halal), Citric Acid, Flavourings. Contents: 600 Pieces. All the gelatine is derived from animals slaughtered according to islamic rights in Turkey, where the sweets are also made. 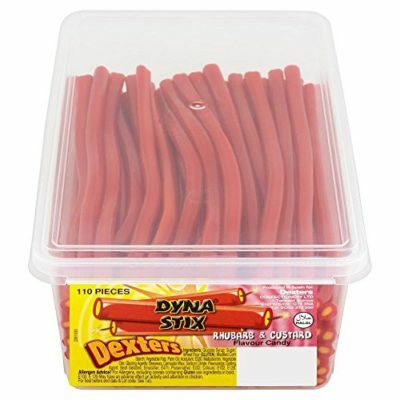 All our sweets have a long shelf life.